Theme 1 Let's meet the people of Yumoto Onsen! Iwaki Yumoto Onsen, which has declared itself the Town of Hula, overflows with the atmosphere of many different eras. Try strolling through this town of many faces and making personal connections with the people you meet. You may just experience a strangely relieving sense of nostalgia. Whether it's the town's scents, its craftspeople, the townspeople's smiles, or the historic buildings, you'll see all of the town's new expressions. We'll guide you through Yumoto with heart's even warmer than the 59-degree spring waters! and ¥1,500 for every additional person. We've put together a "sweet" walking tour of Japanese sweets shops guided by the mistress of a local hot springs inn. 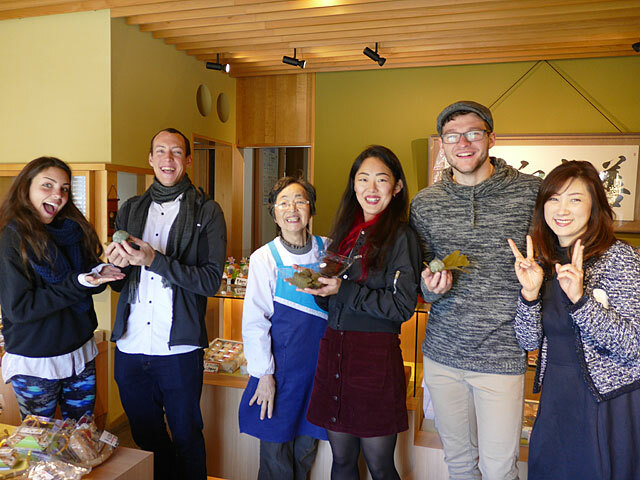 Enjoy chatting with your guide and tasting their recommended Japanese sweets! with a minimum of two people. The backstreets of Yumoto Onsen is home to a lot of Japanese pubs and "snack" bars. Go barhopping with a Hideyo-chan, a fun-loving older gentleman who's well versed in the town's nightlife. Be careful, he sometimes goes missing! 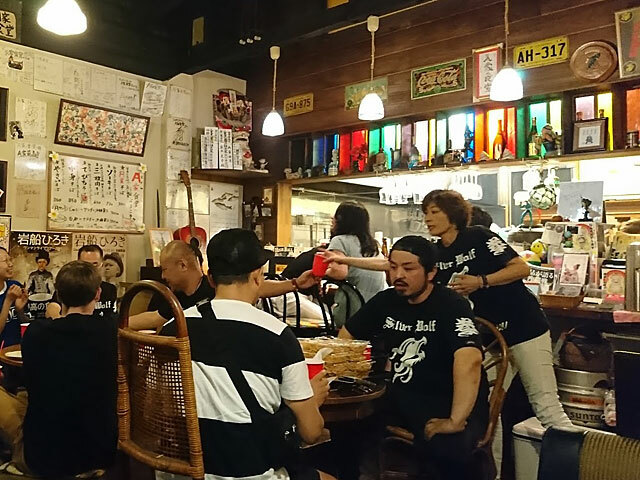 Eat and Drink for Just ¥1,000! Go Barhopping With Hideyo-chan's "Banshaku Set"
It takes courage to walk into the door of an establishment you've never visited. That's why we've arranged a ¥1,000 menu! Now you can visit all those places you've wanted to go with peace of mind. Feel free to take your time at any places you like. Of course, any extra orders will cost extra, but if you only order the "Banshaku Set" you'll never pay more than ¥1,000. A-class taste for a B-class price! Find the B-class cuisine of the Hot Springs Town! Iwaki Yumoto's B-class cuisine is the kind of food the people of Yumoto like: cheap, delicious, and you can see the cook's face. 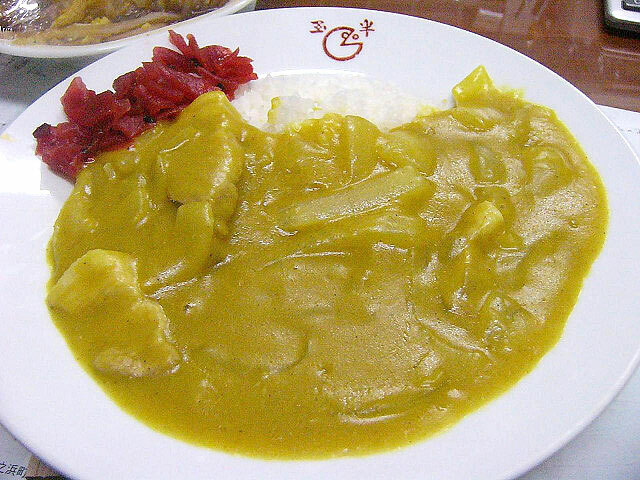 The town has a number of unique foods the that have long been adored by residents. 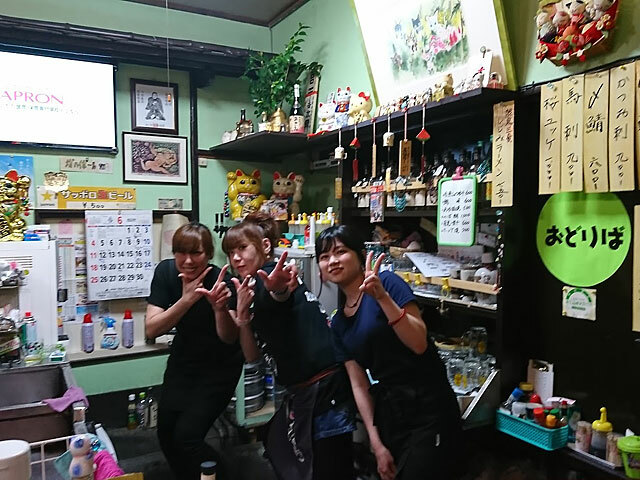 Each of the restaurants and its staff have their own histories, and these have .... together to create Yumoto's food culture. Let's introduce you to a few of these restaurants long beloved by the people of Yumoto. Do you love the sense of freedom a trip gives you, but get bored when you can't get your hands dirty? We have programs just for you! 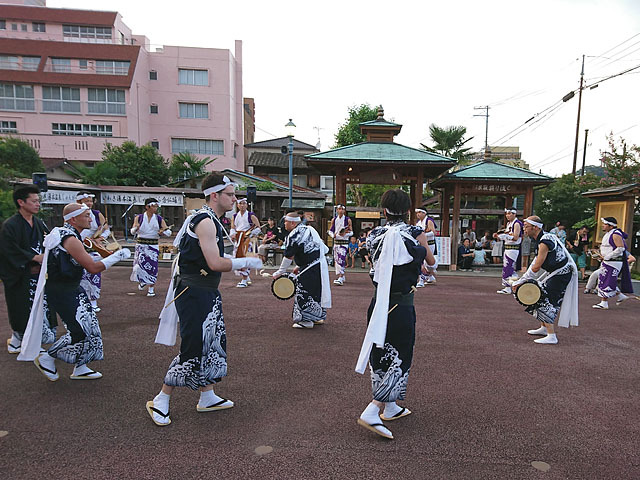 The Jangara Nenbutsu dance is a local folk performing art of Iwaki City. 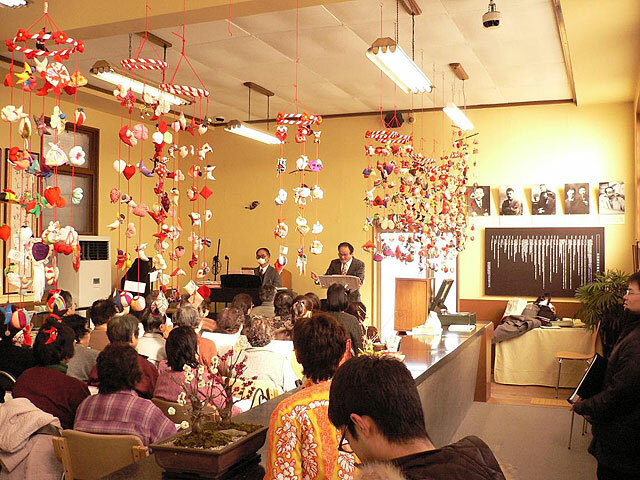 This Buddhist incantation is performed with bells and drums as a service to families which had deaths in the last year. About 60 Minutes, starting at 7:00 p.m. The hot springs shrine is a place to show reverence for the local Shinto deity of the hot springs town. 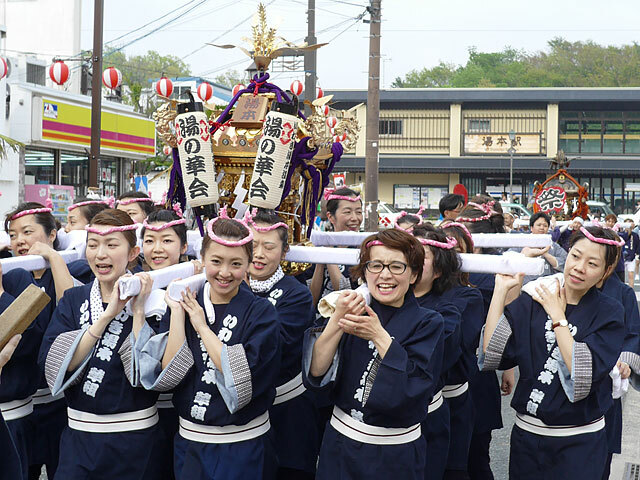 Every May 3rd, visitors can carry a portable shrine at the annual festival. A happi coat, tabi shoes, a towel, and all the other accoutrements will be prepared for you. and insurance is¥2,000 per person. About 180 minutes, from 2:00 p.m. to 5:00 p.m.
Utatte mippe! "Shabondama" (Soap Bubble) Sing a children's song and .... Back to your youth! Singing and listening to songs has received much attention recently in the field of carrying for dementia patients. You can play the piano, or sing along,too. Enjoy singing this children's song written by Ujo Noguchi, who has a deep connection to Yumoto. The cost \1,000 per person. The activity is held on an irregular basis. Let's change and go for a walk! Walking the Town in Japanese Clothes Get dressed in a kimono and visit a shrine! 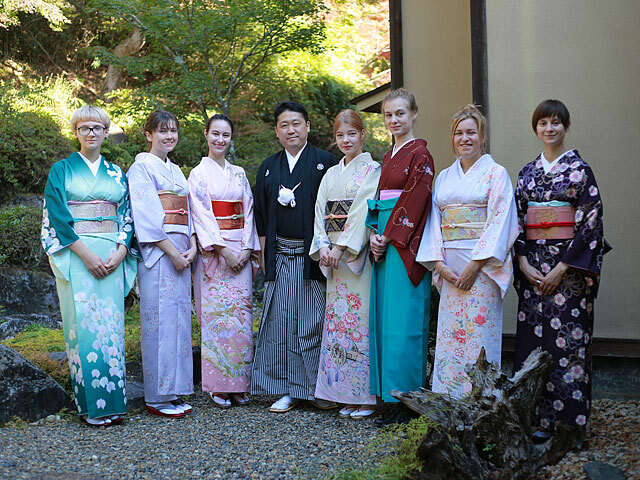 Why not make great memory of your trip by trying on traditional Japanese clothing? 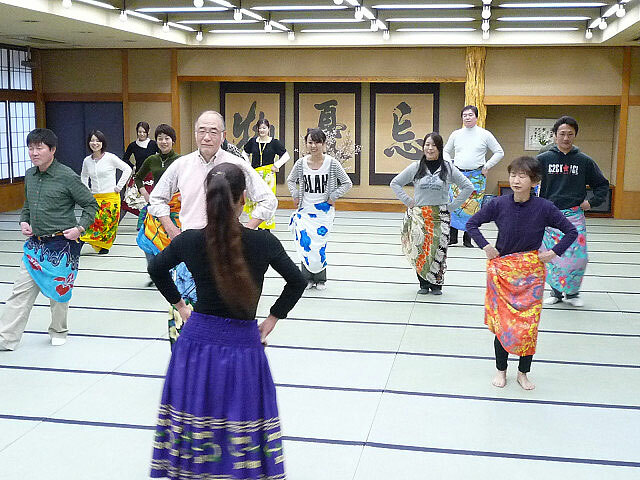 Put on a beautiful Japanese kimono and take a stroll through the hot springs town in elegance. After that, visit the local shrine and receive a purification ritual. Ever wanted to dance the hula, but never had the chance? A master hula dancer will teach you the basic steps! This activity can be enjoyed by people of all ages! \1,500 for each additional person. Theme1 Let's meet the people of Yumoto Onsen! Copyrights (C) 2018 Iwaki Yumoto Onsen Tourist Association All Rights Reserved.